Rear Adm. Jerabek discusses the integral role chem/bio defense has for national security and providing peace of mind for warfighters and civilians. The 2017 CBD S&T Conference brought 1400 scientists, program managers and leaders together from across the globe to confront chemical and biological defense challenges to make the world safer. 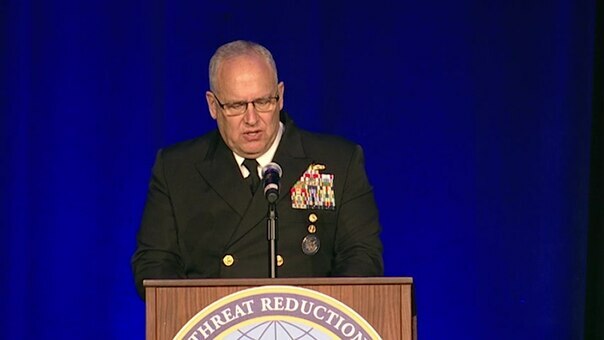 This work, Maintaining the Technological Upper Hand - Rear Adm. Scott B. Jerabek 2017 CBD S&T Conference, must comply with the restrictions shown on https://www.dvidshub.net/about/copyright.